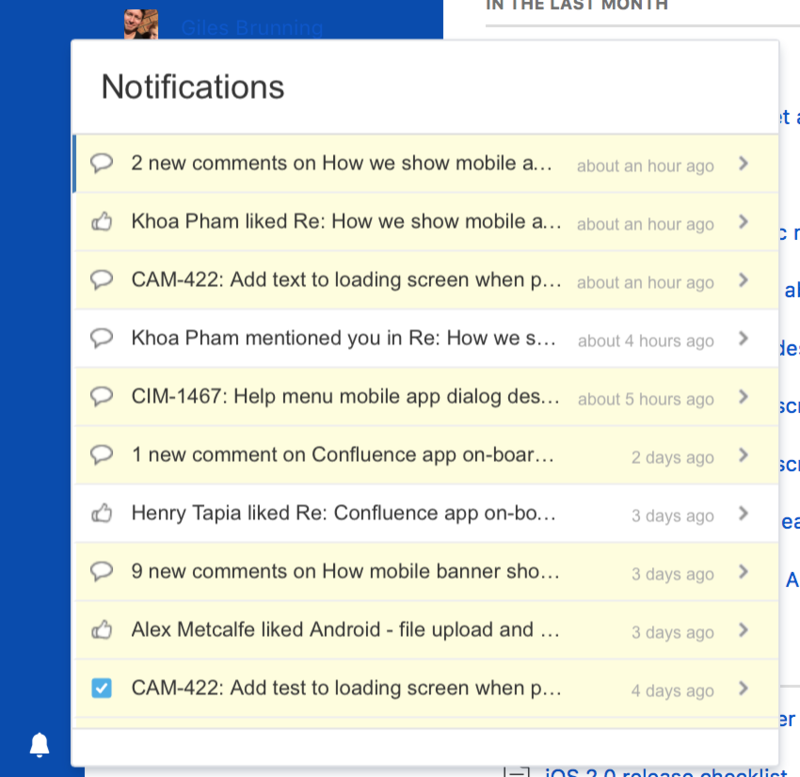 To see your notifications, click the notifications icon in the sidebar. From your notifications you can reply to comments, like a comment or page, watch a page, or open the relevant page or blog post. You can also view and respond to notifications on your mobile device. See Get the Confluence Cloud mobile app for more.